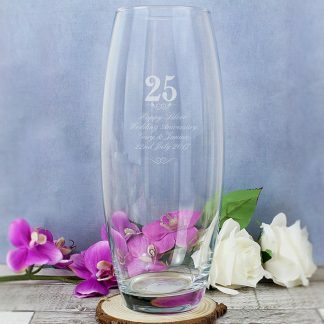 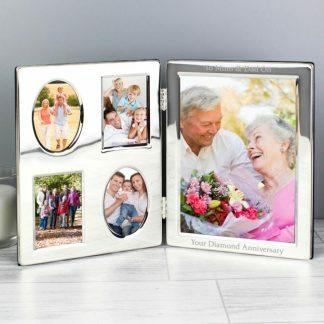 Display your favourite photo of 25 years of marriage with our Personalised Silver 5x7 Silver Wedding Anniversary Photo Frame. 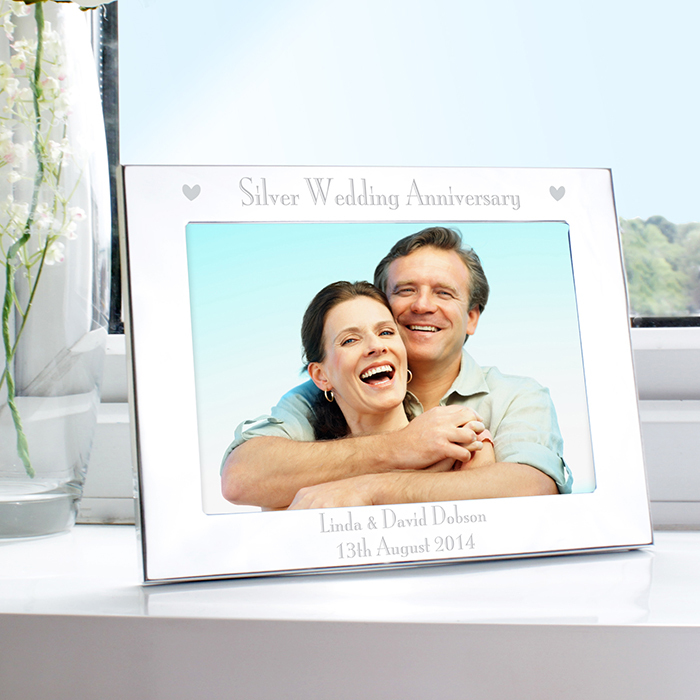 The words 'Silver Wedding Anniversary' are fixed text and part of the design. 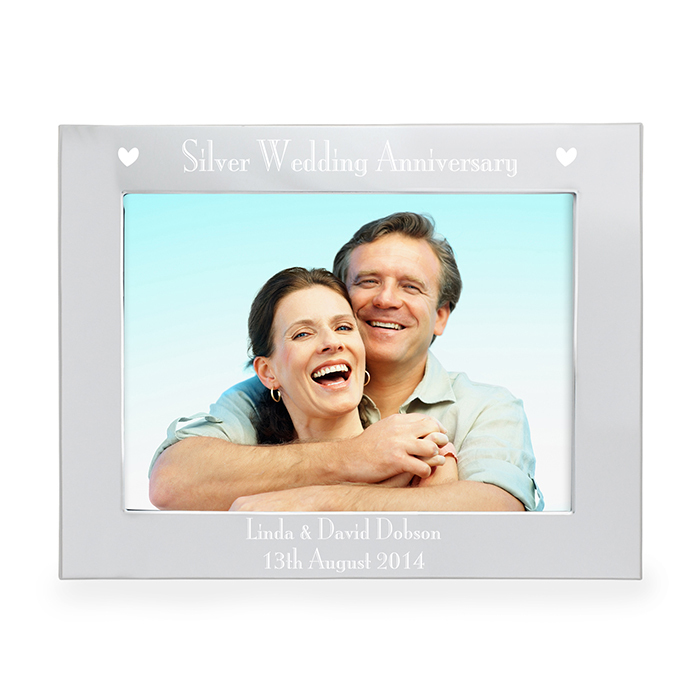 You can personalise the photo frame with a message over 2 lines. 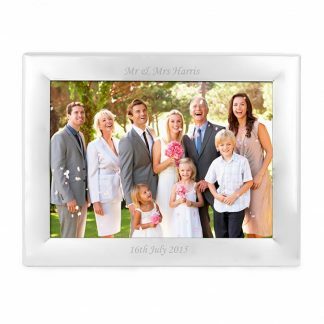 The frame holds a 7” x 5” landscape photo.